A group of seniors trained to teach Eldy and the e-inclusion get the bicycle to Universities of the third Age all around the Alto Adige Region. The bycicle tour started on the 3rd of May with a first stage in Laives, where an event took place at the UPAD University headquarter. 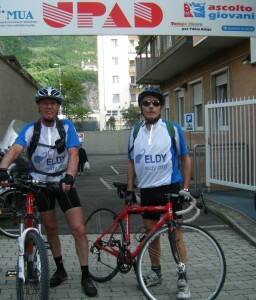 Here riders were welcomed by many people who learnt to use Eldy and the Pc thanks to them.